William Eimicke is the co-founder and executive director of SIPA’s Picker Center for Executive Education, the Executive Master of Public Administration (EMPA) degree program, and is a professor of professional practice in international and public affairs at SIPA. Bill has a long and distinguished career as both a scholar and practitioner in the field of public management, with a special focus on cities. Among many other posts he was the Commissioner of Housing, New York State, 1985-1988, and Deputy Fire Commissioner in New York City from 2007-2010. He has won four different awards for innovation in American government. He is in an excellent position to manage the budget for this project given that at various times he has managed up to 2000 employees and budgets of up to 150 million dollars. 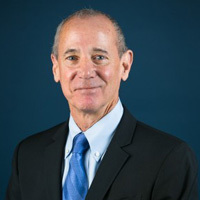 His scholarly activities include the co-authorship of “The Effective Public Manager” (now launching its fifth edition), considered the classic textbook in its field, and recently authored, with Steve Cohen and Alison Miller, Sustainability Policy: Hastening the Transition to a Cleaner Economy. Professor Eimicke has extensive experience in international executive training, policy and research in China, Brazil, Malaysia, Saudi Arabia, Northern Ireland-.and Turkey. Eimicke is also the director of SIPA’s new Global Executive Masters in Public Administration Program (Global EMPA), which was launched in January 2015 at the Global Center in Rio de Janeiro.